At the recent Northeast portfolio tasting, I came across Finca Piedras Andinas. It caught my eye not because it was the only Argentinian wine represented but because of its label. I asked Hernan Castro Matias, the producer's manager based in Hong Kong, if the graphic on the label had any meaning, perhaps associated with the name—Finca Piedras Andinas means house of Andean stones. Hernan said no, it is just a modern simple graphic that people can interpret freely and subjectively. For him, it is the stem of a wine glass. For me, it’s a chair. And someone else saw it as an abstract of a grape. That is the power of a good label. It stands out from the crowd, gets people talking about it, and very likely gets the bottle picked up and purchased. Some wine professionals dismiss consumers who shop by label, insisting that one should buy wine based on knowledge of the region, grape varieties, styles and producers. But the reality is that there are so many wines in the market and most consumers only have limited wine knowledge. Unless there are salespersons hand-selling the wine, how can the ordinary consumer navigate the kaleidoscopic wine world? I’m all for choosing by label. At least it encourages consumers to explore wines they haven’t tried rather than just sticking with the same few brands they always buy. I admit that I shop by label without feeling ashamed. I was in Barolo last year and went to a wine shop and picked three cases of Barolo by label alone—labels that I liked the look of but hadn’t seen in Hong Kong. I didn’t know all the producers and I certainly didn’t want to buy anything that was available in Hong Kong. Of course it is true that the label alone may sell once but it needs quality to ensure repeat purchases. The label can't supersede quality as the most important attribute of a wine purchase but it does help the wine to speak up. What's more, a good label is not just something arbitrary, dreamt up by a designer who doesn’t know the wine. It is the bridge between consumer and wine and it should convey the history, the story and the philosophy of the wine. So back to Finca Piedras Andinas. Yes, the graphic looks like a chair to me but the whole label is very modern and clean. The stroke is powerful yet elegant. It doesn’t look as though the wine is from a winery with hundreds years of history but rather it is one made by energetic young winemakers with only one mission in mind—to make a good wine. So, what’s the verdict? Finca Piedras Andinas Malbec 2013 is well balanced, with layers of fruit supported by lively acidity. It is full-bodied yet not heavy. I think the label conveys the story very well. The winery is a family-run business located in the Uco Valley in Mendoza at some 1,000m above sea level. It used to sell grapes to other big name estates and only recently started producing wine under its own label. The wine's quality certainly lives up to the standout label and I’m glad that I spotted it. So don’t hesitate, shopping for wine by label should not be embarrassing. Loosen up, happy shopping and exploring! Finca Piedras Andinas is available from Northeast. 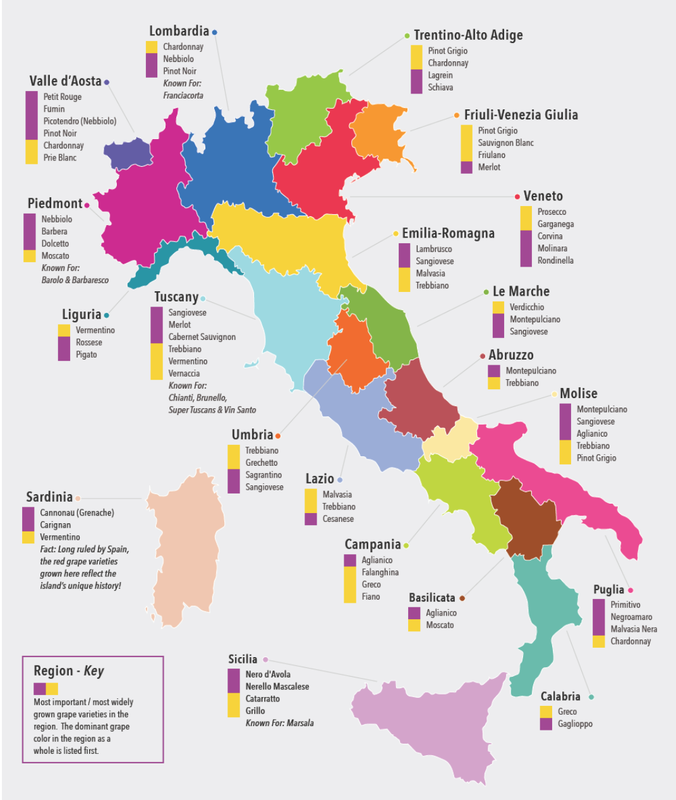 Italy probably has more native grape varieties than any other country. Ian D’Agata documented over 500 in his book ‘Native Wine Grapes of Italy’ and Jancis Robinson listed 377 in her latest book ‘Wine Grapes’. In reality, there are probably more. This is a treasure trove for winemakers. However, beginning around the 1970s, wineries from Tuscany started releasing wines blended with or made 100% from international varieties such as Cabernet Sauvignon, Merlot, Chardonnay and Sauvignon Blanc. These fleshier wines, contrasting with the leaner and more subtle local wines made from Sangiovese and Canaiolo, proved to be a hit in the export markets, notably the US, thus leading to many more Tuscan wineries, big and small, planting at least some international varieties over the past 30 years. My recent visit to Chianti, it seems, revealed a reversal of the trend. Alberto Antonini, owner of Poggiotondo in Cerreto Guidi between Florence and Pisa, and a consultant to wineries in both North and South America, Italy and South Africa, told me that they planted international grapes in the 70s because it was fashionable, and that wineries then needed to have international grapes in order to be treated seriously. However, he realised that these varieties do not really match the terroir, and he is now gradually reducing the plantings. He still makes Marmoreccia Syrah, a 100% Syrah but he is putting his focus back onto the indigenous varieties (albeit not just Tuscan ones). His Poggiotondo Bianco is a blend of Vermentino, Malvasia (both from Tuscany) and Ansonica (aka Inzolia from Sicily), while his reds now feature more Sangiovese and less Merlot and Syrah in the blends. 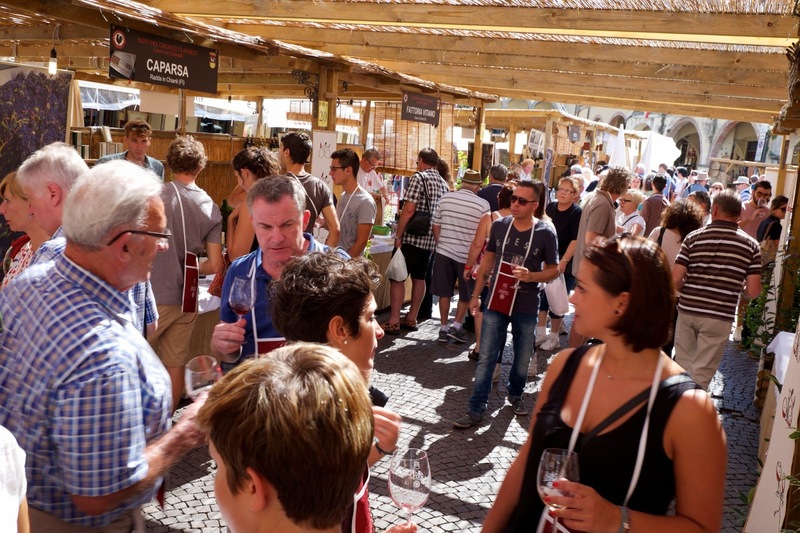 Alberto’s remarks were echoed, somewhat surprisingly, by at least some 20 producers out of 55 at the 44th Expo del Chianti Classico, an annual wine festival held in Greve in Chianti that I visited two days later. Most of these producers are from the new generation of winemakers who practise organic or sustainable farming. They believe that by taking better care of the vines, controlling the yield and sometimes even using different clones they can make better Sangiovese and Canaiolo, expressive of Chianti’s terroir, without the aid of international grapes. Elsewhere in Italy we can also see more emphasis on local grapes. Leading winemakers in Etna are making outstanding Nerello Mascalese and Carricante, while Walter Massa leads the way in reviving Timorasso in Piedmont. Indeed Ian D’Agata, Scientific Director of the Vinitaly International Academy, was conducting seminars on Piedmont’s indigenous grapes at the 2014 Hong Kong International Wine & Spirits Fair, introducing Grignolino, a pale red, low alcohol wine with zesty acidity and herbal, floral notes, and Brachetto d’Acqui, a sweet, slightly sparkling red, to the largely Asian audience. Cabernet Sauvignon and Chardonnay may be noble, but I think the world has more than enough of them. 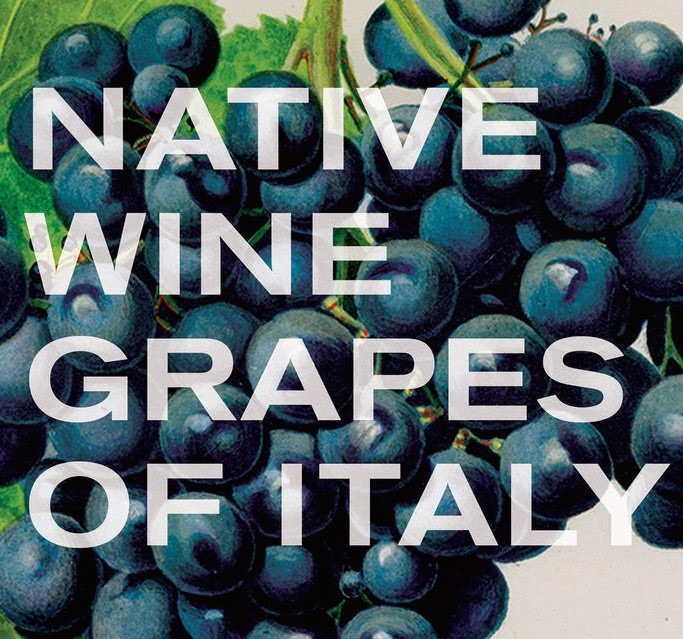 Italy has the fortune of having probably the most varieties of indigenous grapes that would probably not thrive outside their native country. Wine lovers are lucky that Italian winemakers are rediscovering them rather than abandoning them. The wine world would be a lot duller without them.